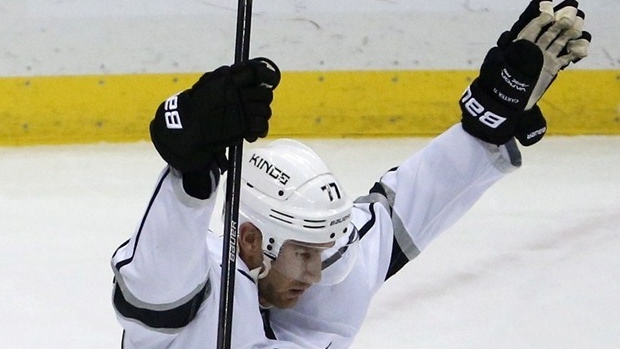 NEW YORK, N.Y. - Centre Jeff Carter of the Los Angeles Kings is the NHL's first star of the week. Carter had two goals and four assists in two games to help L.A. complete a perfect six-game homestand for the first time in franchise history. Carter has five goals and seven assists in eight games this season. Edmonton Oilers Ben Scrivens was named the second star after winning all three of his starts. Scrivens posted a 2.33 goals-against average and .920 save percentage to lead the Oilers to their first three-game win streak since last January. Centre Frans Nielsen of the New York Islanders earned third star honours after registering four goals in three games. Nielsen has four goals and four assists in eight games.